ASHA BANDELE is an award-winning author and journalist. A former features editor for Essencemagazine, asha is the author of two collections of poems, the award-winning memoir The Prisoner’s Wife and its follow-up Something Like Beautiful, and the novel Daughter. She lives in Brooklyn with her daughter. From the author of The Prisoner’s Wife, a poetic, passionate, and powerful memoir about the hard realities of single motherhood. When asha bandele, a young poet, fell in love with a prisoner serving a twenty-to-life sentence and became pregnant with his daughter, she had reason to hope they would live together as a family. Rashid was a model prisoner, and expected to be paroled soon. But soon after Nisa was born, asha’s dreams were shattered. Rashid was denied parole, and told he’d be deported to his native Guyana once released. asha became a statistic: a single, black mother in New York City. On the outside, asha kept it together. She had a great job at a high-profile magazine and a beautiful daughter whom she adored. But inside, she was falling apart. She began drinking and smoking and eventually stumbled into another relationship, one that opened new wounds. This lyrical, astonishingly honest memoir tells of her descent into depression when her life should have been filled with love and joy. Something Like Beautiful is not only asha’s story, but the story of thousands of women who struggle daily with little help and much against them, and who believe they have no right to acknowledge their pain. Ultimately, drawing inspiration from her daughter, asha takes account of her life and envisions for herself what she believes is possible for all mothers who thought there was no way out—and then discovered there was. The gifted author of the acclaimed memoir The Prisoner’s Wifedelivers a deeply penetrating work—an emotionally shattering first novel that explores the perils of silence and illuminates the fragile complexity of the mother-daughter bond. On a winter night in Brooklyn, Aya Rivers, a vibrant nineteen-year-old black girl, is shot by a white police officer in a case of mistaken identity. Her mother, Miriam, a rigid and guarded woman, rushes to the hospital. As Miriam desperately waits at Aya’s bedside, she falls back into memories of her own youth, when her life took a series of tragic turns as she struggled for independence and dealt with the end of her relationship with Aya’s father. But as Miriam’s recollections of love and regret descend upon her, this woman who has spent nearly every day of her life in an emotional prison finds that her wounds slowly give way to healing and a tentative hopefulness. With the lyrical economy of poetry, asha bandele tells a powerful story that boldly confronts timely and troubling issues. Daughteris an unforgettable portrait of one extraordinary woman and her journey—from secrecy to openness, from the silence of isolation to the beauty of connection. “A wonderful first novel about the very complex ties that bind mothers and daughters in pain, the inevitable sacrifices that redefine love, passion, and commitment. asha bandele proves here that she can do it all: poetry, memoir, fiction. And much like asha’s other work, Daughter will move and transform you.”—Edwidge Danticat, author of Breath, Eyes, Memory and Krik? Krak! How did a beautiful, talented college student fall in love with a man serving twenty to life for murder? And why did she marry him? At a time when one in four black men are caught in the web of the criminal justice system, asha bandele shatters the myths of prisoners’ wives and tells a story of embracing the beauty of love in the ugliest circumstances and of people’s ability to change, to do better, to grow. Whether she is describing her restricted but romantic courtship with Rashid—when letters were like dates, like “whispers on the slow, blue-light dance floor”—or riding the bus upstate with the other wives and girlfriends, asha bandele creates haunting images and reflections so powerful and unique that they beg to be reread and savored. At the same time that she recalls the extreme ups and downs that accompany a relationship constantly scrutinized by guards and surveillance cameras, she confronts her own dark secrets and sadness. The love of a man with an ugly past but a firm belief in redemption is what heals her broken spirit and grants her the courage and confidence to embrace life again. This is a love story extraordinary in its circumstances but universal in its message. With unblinking honesty, asha bandele writes about the tenuous balance of power upon which most relationships rest, the deep needs that bring two people together, the jealousy and insecurity that can drive them apart. But most of all, The Prisoner’s Wife reminds us why we love—what we give up for it and what we receive from it. 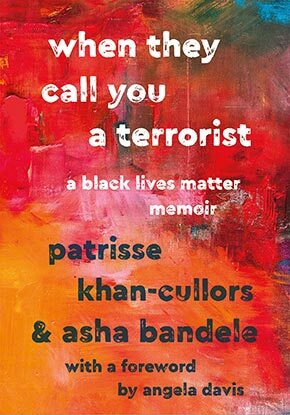 An immensely gifted poet whom the Bay Guardian has called “an essential new voice in African-American literature,” asha bandele has written a remarkably candid book that resonates with poetic language and abundant insight.